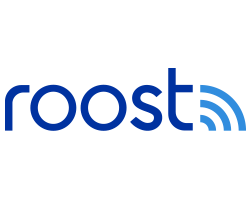 How do I find my Roost device’s MAC address and firmware version? – How can we help? How do I find my Roost device’s MAC address and firmware version? Tap on the device tile. Here you can see the Wi-Fi network your device is connected to, the MAC address, the firmware version and the date when your device last updated its firmware. If you have not yet set up your device, please see below details on how to find the MAC address or firmware version. Separate the top cover from the bottom cover of the leak detector at the solid blue line. The MAC address is stamped on the blue plastic adjacent to the AAA battery compartment. You do not need to remove the batteries to see the MAC address. Contact us at support@getroost.com and provide us with the 6-digit alphanumeric serial number stamped on the inside of the Smart Module on your battery. The Smart Module is the bottom removable piece. Contact us at support@getroost.com and provide us with the 6-digit alphanumeric serial number stamped on the inside of the Smart Module on your sensor. The Smart Module is the bottom removable piece. You will need to remove the sensor from the blue clip first. How do I open my Roost leak detector?